An increasing number of people are using a revocable living trust instead of a will to transfer their assets to their heirs. The primary reasons are to avoid the expense and delay of probate, and to keep the contents of the estate from becoming public knowledge. Many people mistakenly believe that if they have a will, they can avoid probate. This is not true as a will, to have any legal effect, must be probated. This adds time and cost to the settlement of the estate, and also exposes the contents of the estate through public records. Time – Probate is time consuming and frustrating. For example, in Massachusetts probate can take up to 12 months. If you want your family to have immediate access to your property upon your death, probate is something to avoid. Cost – On average, depending upon the estate, it will probably cost more to probate a will then to draft a trust. 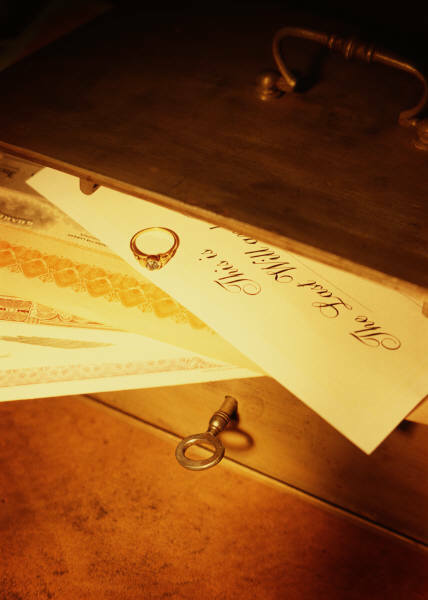 The probate process has many fees associated with it, including filing fees, publication fees, legal fees and more. If you happen to own property in another state, you will more than likely have to probate there and pay these fees all over again. Privacy – Probate is a matter of public record. An inventory of your assets, the names and addresses of your heirs, and any family disputes, could all become a matter of public record. A trust, on the other hand, is a private document and the terms and contents can be kept out of the public record. In many cases you can avoid these expenses and public revelations with a properly drafted and funded revocable trust. For additional information, please read the full article on our website by clicking HERE or contact Gray, Gray & Gray by calling (781) 407-0300. This entry was posted in Accounting, Finance, Property, Real Estate, Trust and tagged property, public records, real estate, revocable living, Trust. Bookmark the permalink.